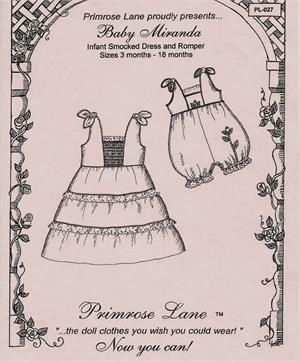 Romper and Dress pattern size 3mo-18mo embellished with mini-piping, rickrack or embroidered eyelet edging. Can also be smocked. 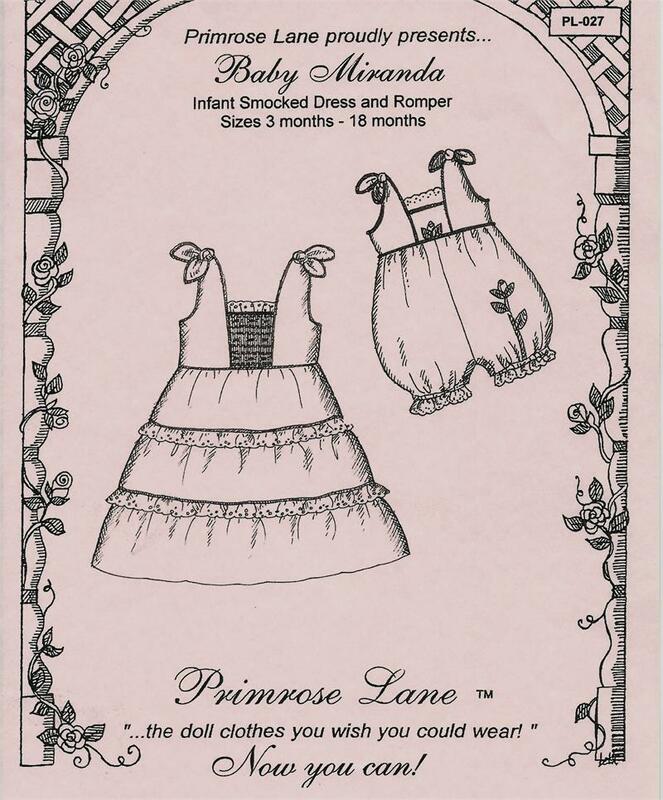 Romper has a back button-opening, tied shoulders, snap crotch and elastic at the legs. Also see MATCHING SISTERS MIRANDA w/shorts and top instead of romper, plus dress.